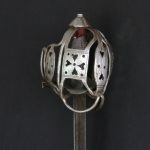 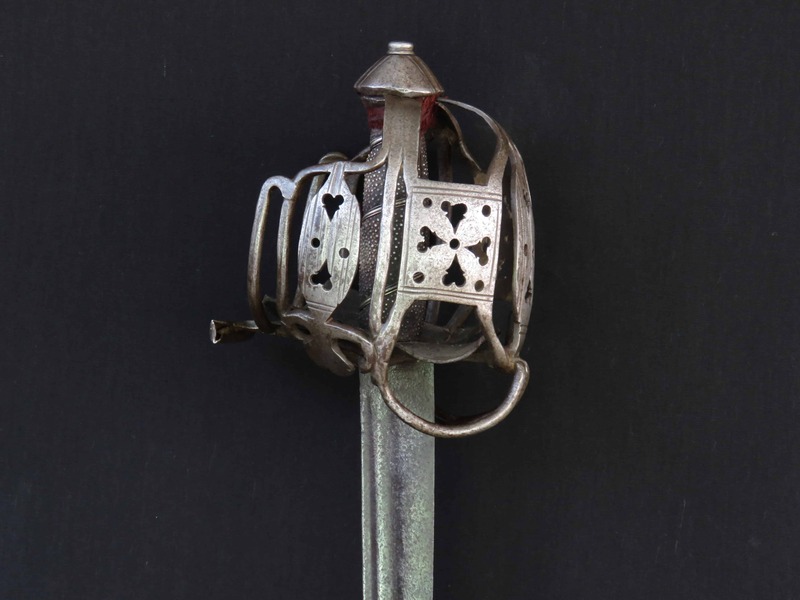 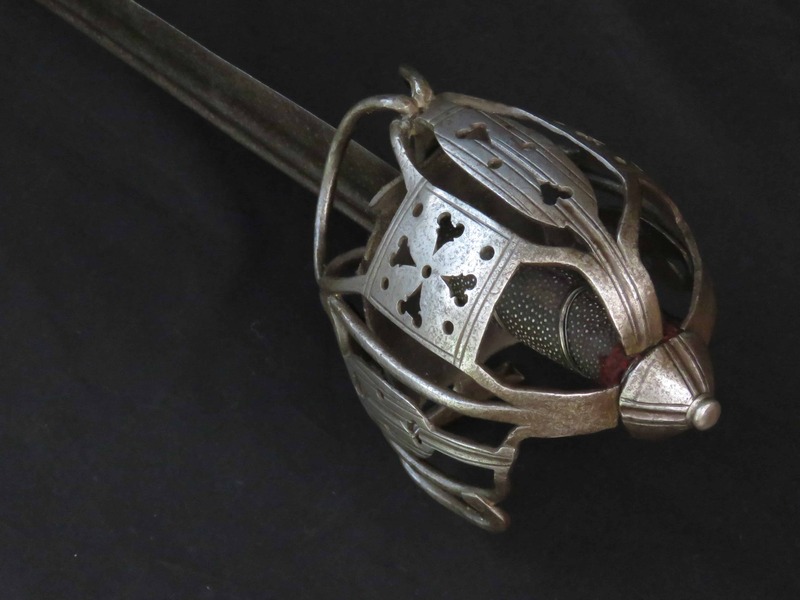 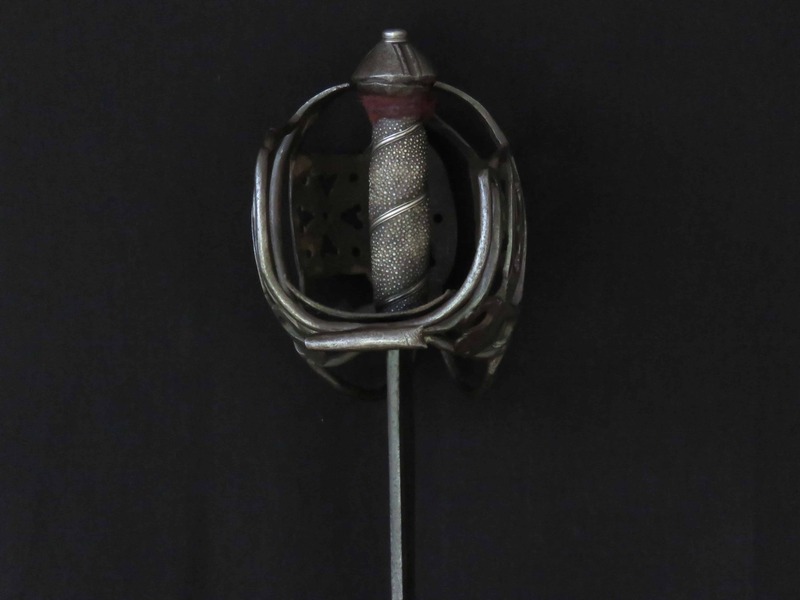 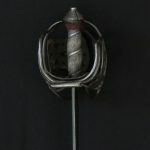 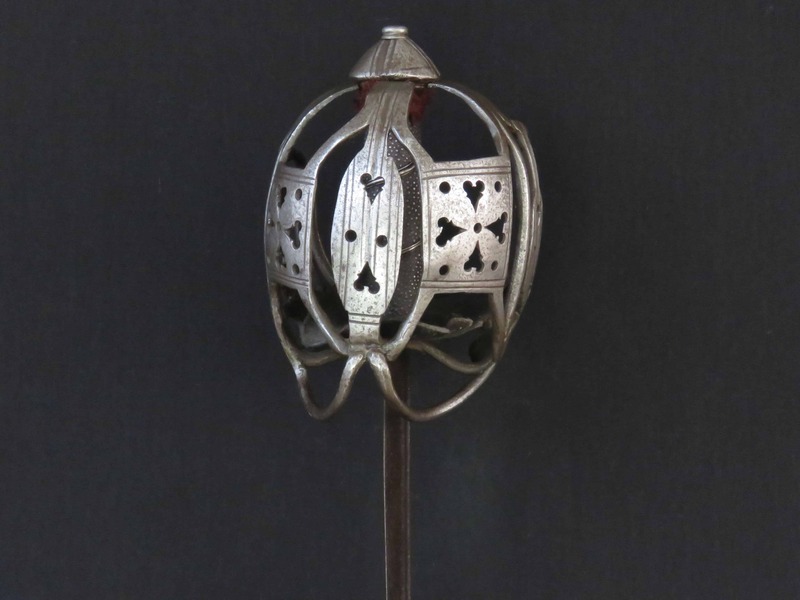 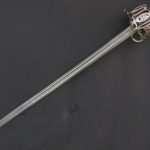 A good Scottish basket hilted back sword dating to the second quarter of the 18th century, with remnants of finely incised “wrigglework” and dog tooth engraving still visible on the main guard panels. 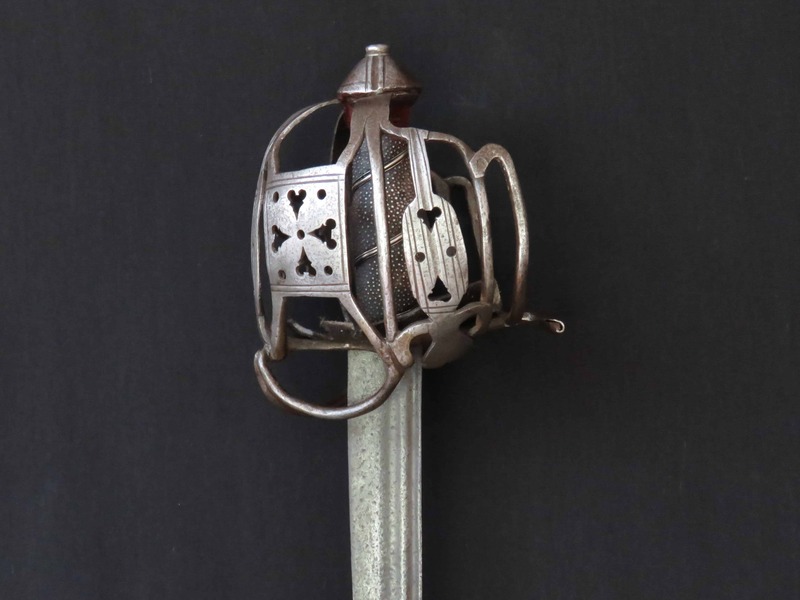 The sword is of robust proportions and in tight condition. 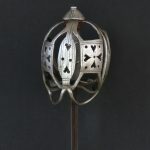 The fully formed basket is constructed in the usual manner from thick iron forged into two main and three secondary guard panels pierced with circles, hearts, dots and linear designs. 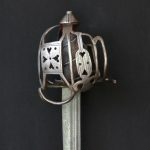 The panels are held in place by well made rounded bars. 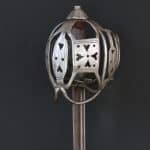 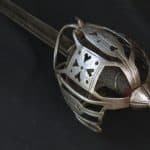 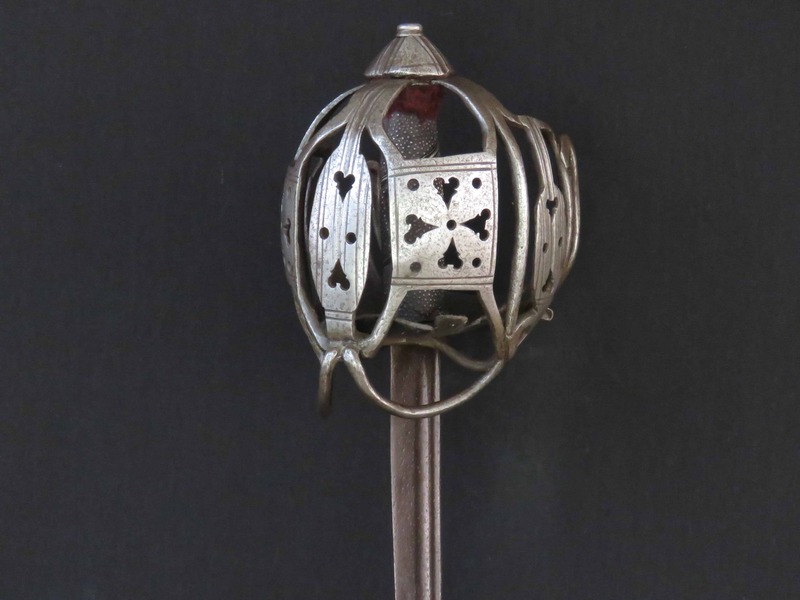 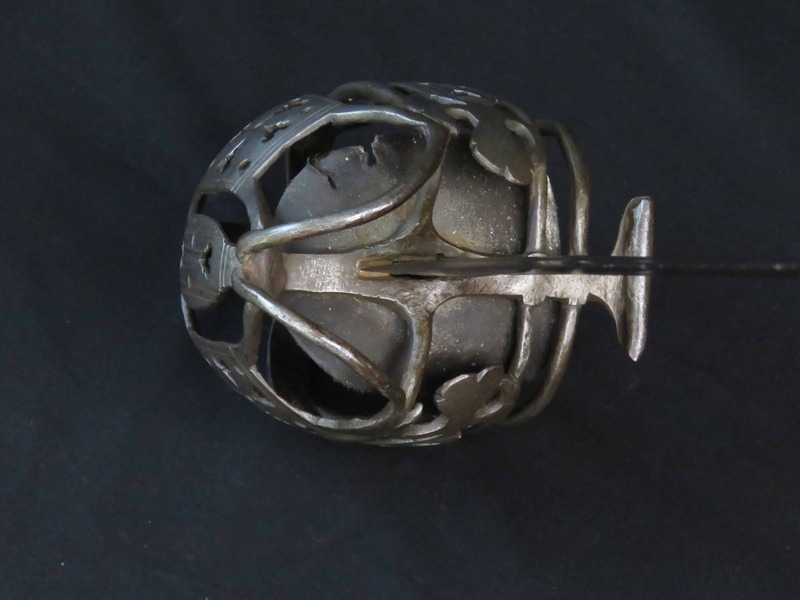 The pommel is cone shaped with a chiselled groove seated just below its middle which extends around the whole circumference and into which the three upper guard arms of the basket are secured. 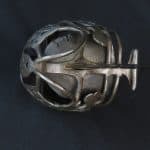 Three grooves radiate from the pommel button which are flanked by narrower incised lines. 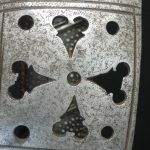 The decorative lines incised into the main guard panels are accentuated by “wrigglework” or “dog tooth” zig-zag lines – a known but rare feature on period Scottish swords, now more vague with age, but distinct. 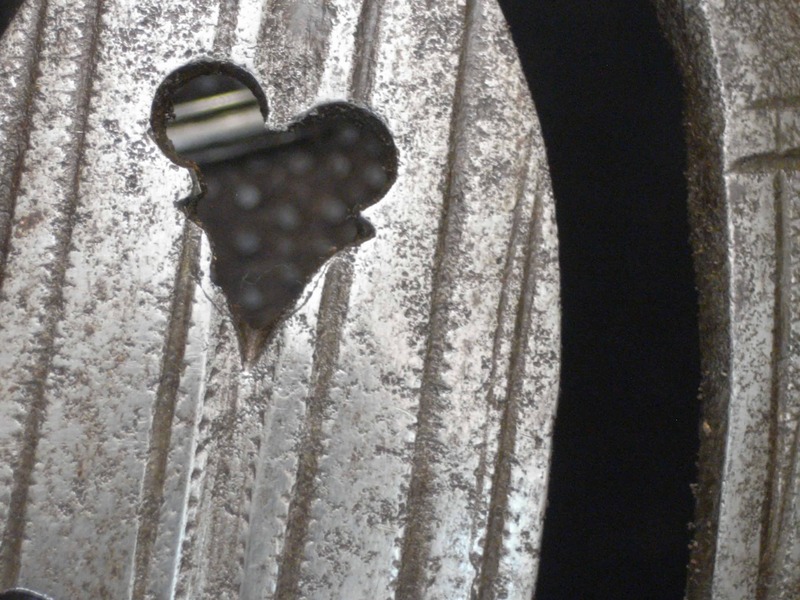 The incised hearts and circles to the panels are similarly highlighted. 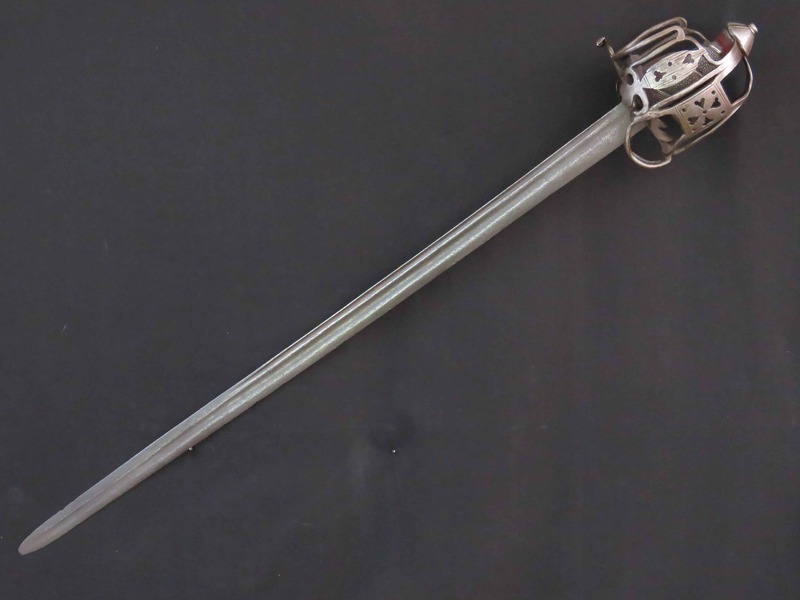 Of tapering back sword form, the unmarked blade has a pronounced fuller extending from the hilt underneath the spine, to a place two thirds down, after which it becomes double edged. 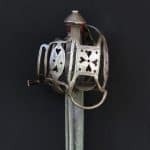 A second, shallower fuller, is present underneath this extending from the hilt down the centre of the blade to the tip. 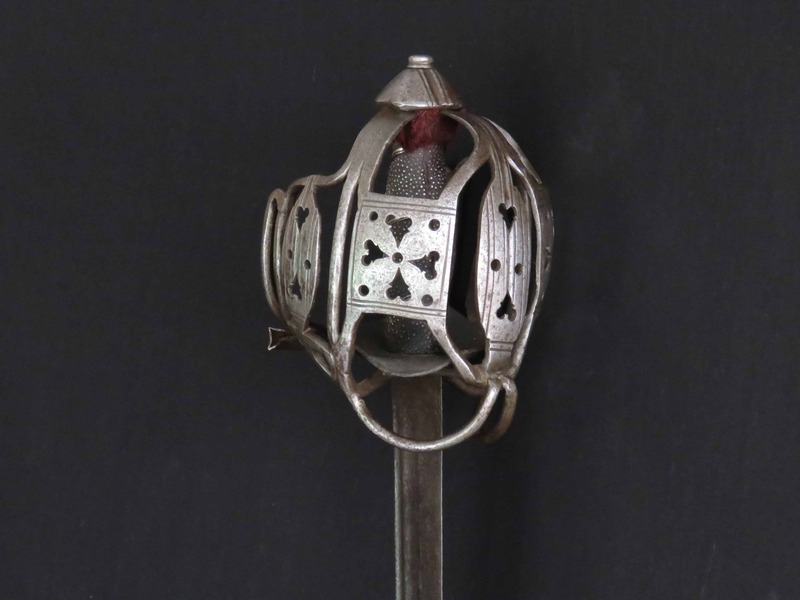 The grip is of wood, spirally grooved, with a shagreen cover decoratively bound with silver strip flanked by wire. 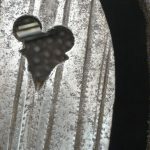 A leather liner is also present. 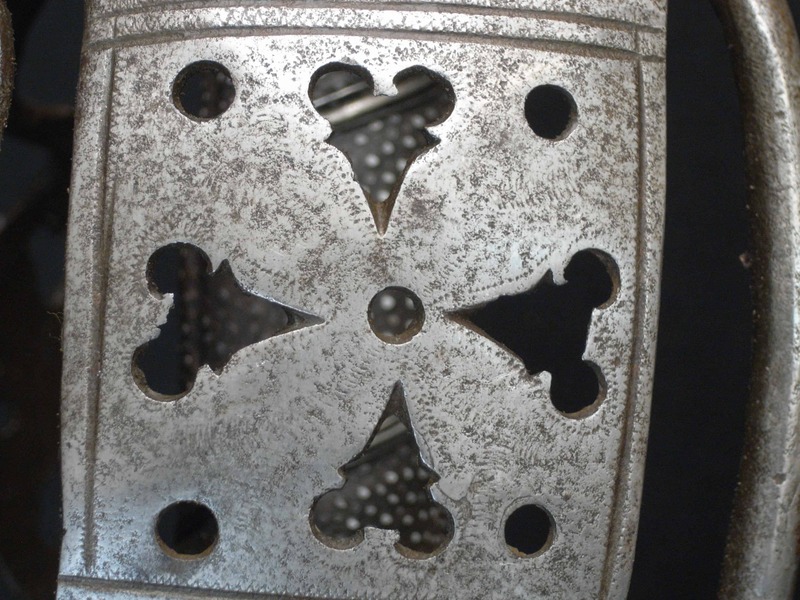 The metal surfaces have a consistent lightly pitted and worn russet appearance. 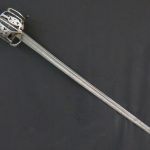 The overall length is 39.25 inches (99.5 cm). 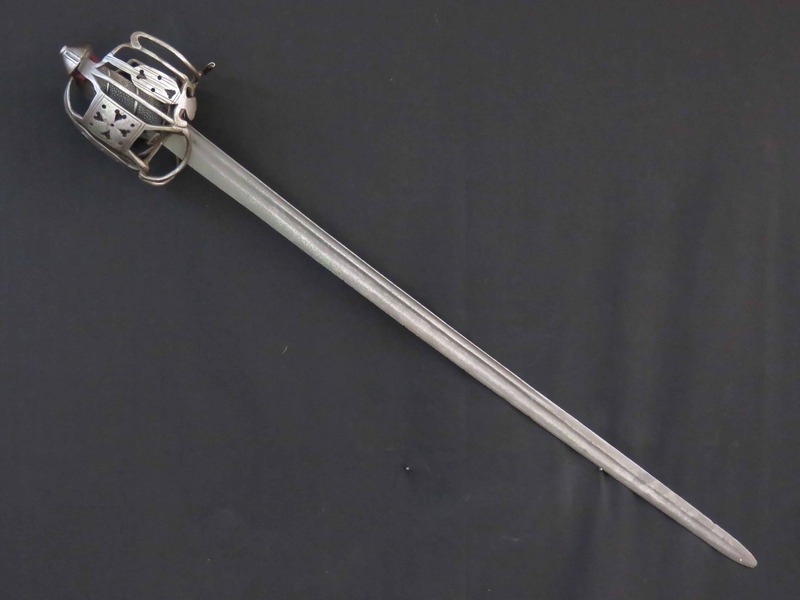 The blade is 33.5 inches long (85 cm).